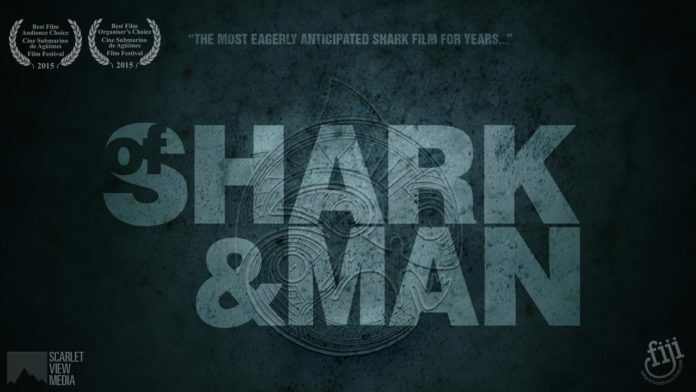 DeeperBlue.com is pleased to announce the UK Premiere and launch Of Shark and Man on Thursday, August 27. The award-winning documentary, that we reviewed earlier this month, will be screened at The Courthouse Hotel’s onsite cinema in the heart of London’s Soho. This “by invitation-only event” not only gives attendees the chance to see the premiere of this documentary but also launches the crowd-funding campaign to fund the worldwide launch and distribution of this mesmerizing and thrilling film. Featuring “some of the most brilliant nose to nose shark cinematography ever filmed”, Of Shark and Man tells the story of a man obsessed with a dream to dive with and chronicle one of the greatest aggregations of Bull Sharks in the world. Stunning underwater scenes capture the raw power and majesty of these magnificent apex predators, while underscoring a strong conservation message. There are numerous perks in the offering, including top of the line range wetsuits, regulators, computers, masks, fins, etc. from Fourth Element, Apeks, Suunto and Aqualung. By purchasing your new dive gear through the crowd-funding campaign, instead of getting it from a retailer, you are contributing to “a film which supports marine conservation and visitors to the site can qualify for a drawing for an adventure of their own…”.